Recently, I was reading a novel by a well-known published author. I’m enjoying the story line a lot which is preventing me from putting the book down and reading another one. WOW! There’s a lot going on in this single sentence. A lot that is medically inaccurate and I’ll tell you why. First, a subdural hematoma is a “collection of blood on the surface of the brain”– between the brain and the skull. The volumes of this blood collection vary and do not always need intervention. However, if the volume of the blood collection is large enough, it can actually push on the brain and cause its contents to shift. This is termed herniation. In that case, surgical evacuation of the blood clot by a neurosurgeon is the preferred treatment. Drilling a hole in a patient’s head is generally done for two reasons. The first is to drain cerebrospinal fluid and the second is to monitor intracranial pressure or ICP. So, even if the patient did have a subdural hematoma, this likely would not be therapeutic treatment. The next issue is the just in case part. With CT scanning readily available (even at most smaller hospitals), there should be no reason to wonder whether or not the patient has a subdural. This particular patient took a severe beating to his head and has neurological deficits. Standard treatment would be to do a CT of his head. Then the medical staff would know for sure what they were dealing with. Which leads us to the last issue. The doctor performing the surgery was an orthopedic surgeon. This is not in their realm of specialty. 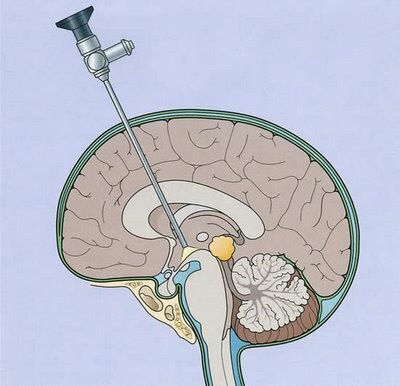 Drilling a hole in someone’s head goes to the neurosurgeon. I can’t think of many ortho types who want to be mucking around near the brain. And if they are, they’ve likely consulted a neurosurgeon. Scope of practice issues come up commonly in manuscripts. Either the act done is outside that character’s scope of practice. For example, an EMT performing a C-section is outside their scope of practice. Or, a specialist is doing something they usually don’t do as in this case. To be clear, I do think it is okay that a fictional character does something they’re not supposed to do like operating outside of their scope of practice. This can add great tension and conflict to a scene. Imagine an EMT attempting to do a C-section to save a baby’s life when the mother has died. What I would be sure to do is make it clear that the character knows this is outside their scope and is troubled by doing it or maybe cavalier about doing it but that they know where the line is. You can also take the other bend, the character doesn’t know and does it anyway. In this instance, there should be discussion from other characters that this person is known for operating outside their scope and presents a danger to patients. Then, your reader will know that your medical knowledge is good but it is the character running amok. What do you think? How would you have a character do something outside their norm that won’t turn off your reader?